Getting more Twitter followers is simple; It’s a matter of knowing which methods work, and which ones don’t. That, however, isn’t always the simplest of tasks. I’ve created this 30 day guide to give you a range of different tactics and strategies for boosting your Twitter following. Eachh day has its own task to perform taking anywhere from 15 minutes to an hour. Follow this guide, and I assure you that your Twitter tribe will multiply several times over. Day 1: Define your Twitter goals. No, it isn’t the most exciting task in the world, but it’s nevertheless something that you need to do. Define your Twitter goals: what do you want to get out of your Twitter marketing campaign? More traffic? More revenue/sales/customers? Make sure that your goals are measurable and time-sensitive. E.g. I want to drive 1000 visitors to my website via Twitter in 3 months. 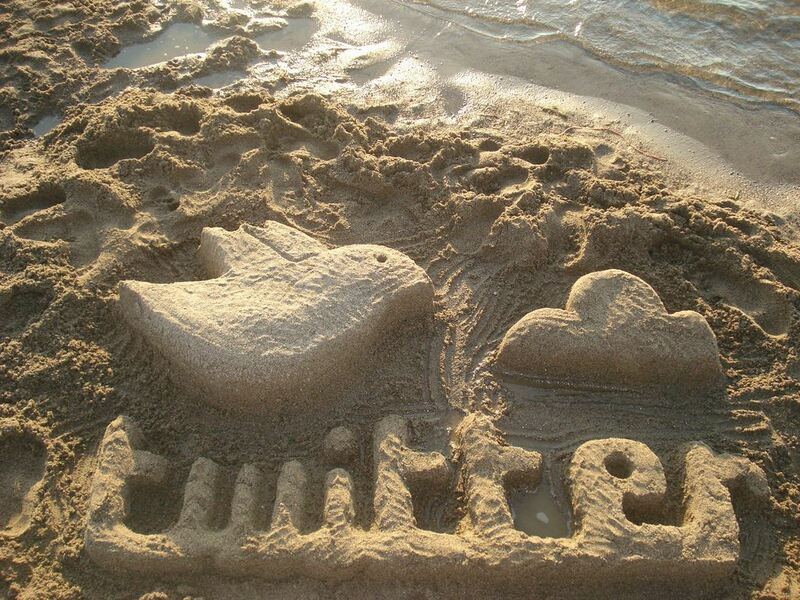 How you setup your Twitter account is crucial to your success on the platform. Your Twitter profile picture, cover & background images, and description say a lot about your brand. Make sure you go for a profile picture that stands out so that your tweets will be easily visible in your followers’ news feed. Your cover & background images should define what you do: your work in the industry, your value proposition, etc. Day 3: Find & follow 100+ active, popular accounts in your niche. Most social media gurus are fully against following people just so that they’ll follow you back, and I entirely agree. The result of that technique is a bunch of followers who are just “paying” you back and really aren’t interested in your tweets. However, you need to have valuable content to retweet to your followers. To find that sort of content, you need to follow people who tweet it. Day 4: Create a Twitter landing page. A Twitter landing page is basically a webpage you direct your Twitter followers to. Landing pages custom-made just for your Twitter profile is a beneficial, yet often overlooked tactic to grow your following. Setup a page that talks specifically about your brand with relevance to your Twitter profile. It should say why people should follow you, what you tweet about, etc. And remember to keep it short & punchy — people used to digesting info in 140 characters or less won’t take too kindly to 1500 words of boring self-promotion. Day 5: Find out the best time to tweet to your followers with Social Bro. Just like with blogging, your timing is in important factor in the exposure and reach of your content. You need to make sure you’re getting the biggest bank for your content — for that, use Social Bro. Social Bro is a premium Twitter management tool, and one of its many impressive features is its ability to research your audience and gauge the perfect time for you to send out your tweets. This feature comes integrated with both HootSuite and Buffer. Day 6: Setup Buffer and Swayy and start scheduling tweets. Buffer & Swayy are my two favourite auto-tweeting tools. Buffer is pretty much a standard tweet scheduling service (as already mentioned, it comes integrated with Social Bro’s best time to tweet feature). Swayy is a Tweet curation platform: based on your followers and who you follow, Swayy researches your industry to find trending content on the web that you can then schedule and share to your followers (like Buffer, it isn’t limited to just Twitter either). Day 7: Research trending hashtags with Hashtagify. The hashtag phenomenon that revolutionised Twitter way back in ’09 can be a great visibility booster when exploited correctly. When you add hashtags to your tweets, you need to make sure that they are relevant to your audience, up-to-date, and trending. In short, you need to do some serious research. Hashtagify.me is one tool that takes most of legwork out of that process. You can search one popular hashtag in your industry (e.g. 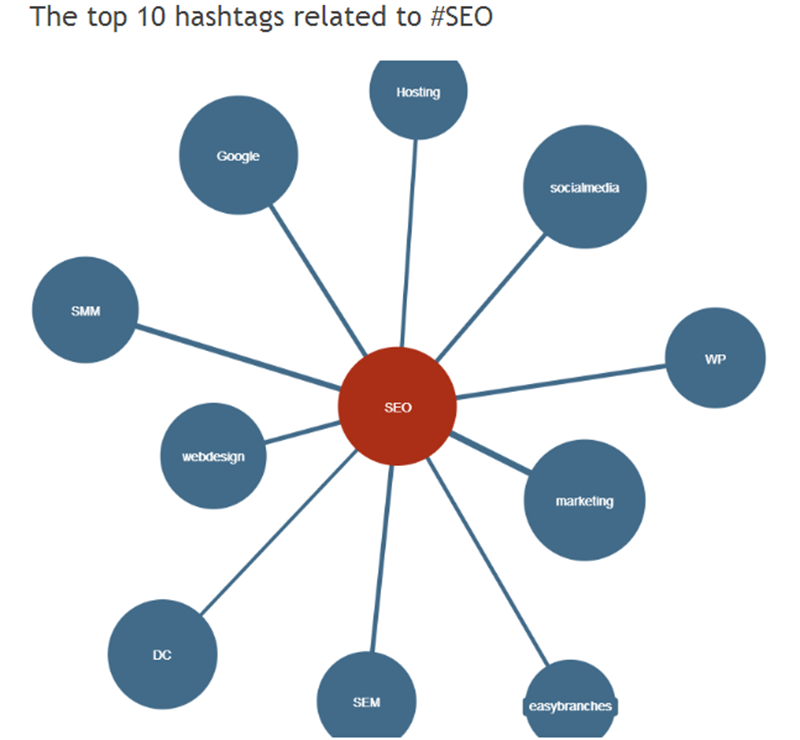 #seo), and Hashtagify will display a number of relevant popular tags. Day 8: Use Social Crawlytics to find your competitors’ most popular content. Social Crawlytics is a neat tool that will analyse a website’s most popular content (social media wise) and show it to you. It’s a great way to find content that is currently trending in your niche — content that will resonate well with your followers when you tweet it out. Analyze 2-3 of your top competitors, create a list of their most popular content, and steal their ideas to create similar content. Day 9: Create the content. 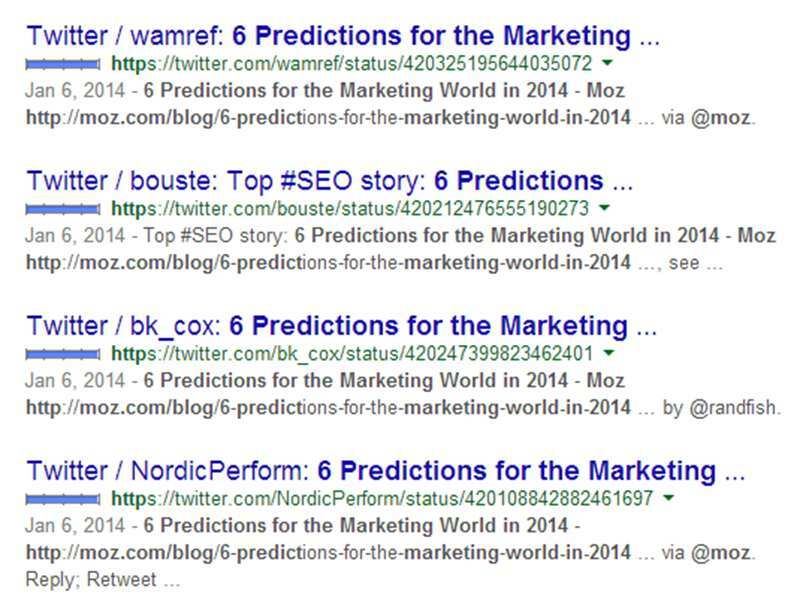 Use the information you gathered in day 8 and build your content around similar topics. Create the content and schedule it for publishing. Once it’s live on the Internet, share it to your Twitter account. But hold on — don’t put it away, because we’re not done with it yet by any means. Day 10: Ask 10 people to share the content. Go back to your Social Crawlytics report of your competitors’ most shared content (that you “stole”). Next, find the people who shared that blog post, then reach out to them and ask them to share it with their audience. If you did it correctly, you should have a listing of tweets people sent out containing that link. Reach out to 10 tweeps in that selection with the largest audiences, tell them about your new, up-to-date content (preferably via email or another private medium), and ask them to share it. This process is way too tedious and will be counter productive if you try to reach out to every single profile that tweeted the link, so make sure you’re only concentrating on the big fish and you’ve got a template email to use. Lastly, remember to make sure that they include a “via @yourhandle” in their tweet. Otherwise, your actual profile won’t increase in follower count, although your posts will in social signal count. Day 11: Ask your allies to share the content. Email friends in the industry, or people who’ve posted on a similar topic to you and tell them and ask them if they’d like to share your content. Often, since they’re likely to be on the lookout for quality content to tweet, they’ll share it without thinking twice, which increases your Twitter profile’s visibility. Again, make sure you’re using a template email. Day 12: Get other popular bloggers to share it. Same story – we’re still sharing the same content. After reaching out to your allies and their followers, it’s time to reach out to other popular bloggers about your (soon-to-be) popular content. Tell them that you’ve got content on XYZ topicc that’s relevant to their audience, and ask them if they’d like to share it. Email at least 20 bloggers in your niche (use templates), and watch your follower count increase. Hint: It never hurts to namedrop. If you’ve already got one big-name brand/blog to share it, include that in your email as social proof. Day 13: Gather a list of 20 current events to tweet about. One of the ways you stay on top of the Twitter game is by being current and up to date. If you’re sharing content from 2007 all the time, you’re doing something wrong. Very wrong. Gather 20 pieces of current content in your industry, and schedule them (preferably spaced out to 1-2 per day) for tweeting. Day 14: Hold a contest. There’s nothing like an incentive to get more people to do something. Up till now, you’ve been asking people to do something for you … but there’s really very little in it for them. Hold a contest, and that will change. Give people a chance to win something valuable in exchange for a tweet, and you could easily be watching your Twitter account go viral. Day 15: Personally thank everybody who has so far retweeted you. You won’t have enough time for this once you have hundreds of thousands of followers and numerous retweets per tweet, but for now, this is a great technique to build relationships with your followers. Just tweet a “thank you for sharing” back to their retweet. Not only does it make them feel warm and fuzzy inside, but it also makes them more likely to retweet your content again, increasing your profile’s exposure to their audience. Day 16: Setup automated direct messaging. Are direct messages sometimes annoying? Yes, they are. Does that mean you should rule them out completely as a Twitter marketing strategy? Of course not. 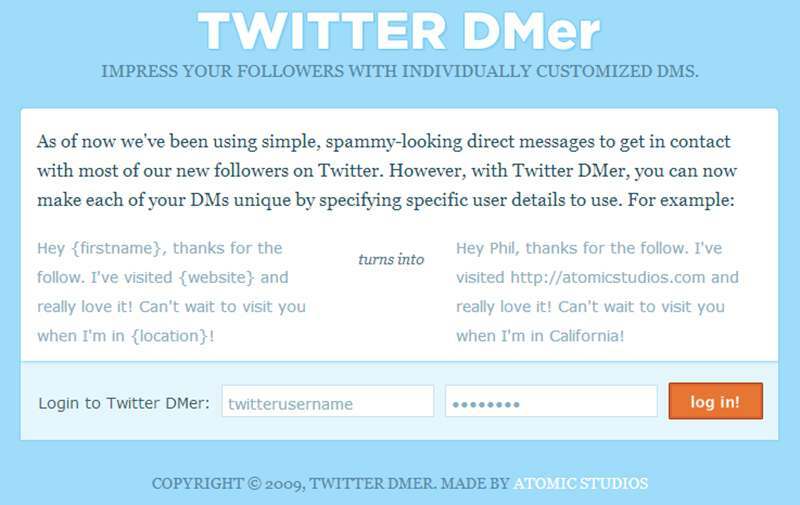 Signup to Twitter DMer (100% free), and setup an automatic direct message that links to your squeeze page. You’ve only got 140 characters, so make it count: don’t make it over salesy. Try to be a little personal. Day 17: Find 10 popular blogs with huge Twitter accounts and regularly favorite/retweet their tweets. Get together a list of popular blogs in your industry (preferably solo-owned) with very active, very popular Twitter accounts. Favorite or retweet their tweets regularly — you should be retweeting or favoriting at least one of their tweets daily. This gets them thinking about you — they notice you because you stand out of the crowd because of your consistency (and besides — you’re flattering them immensely). When you create a tweet, there’s a chance that they’ll retweet it out to their followers. Day 18: Use Trendsmap to find real-time local Twitter trends. Another fantastically useful Twitter marketing tool, Trendsmap helps you find trends on Twitter according to your location — quite a helpful tool if you run a brick-and-mortar business and you’re looking to stay on top of things in your location. Unfortunately, Trendsmap doesn’t dig too deep location-wise (as of right now), so you’ll have to settle for trends according to state or major city. Day 19: Embed your Twitter handle & profile link in company email signatures. When you email someone (or when someone emails you), that means that you two know each other. You might not be besties, but you are acquainted. Trust me — converting acquaintances into Twitter followers is a whole lot easier than converting those who had no idea that you existed until three seconds ago. Day 20: Create and/or curate images for tweeting. It’s official: tweets with images get way more retweets than tweets without. Often twice as many (Scion Social). Get your graphics team to create a few images for some of the tweets you send out. Obviously, if you create an image for every tweet, this can get pretty expensive pretty quickly, so the alternative is to curate images … which can also get a bit finicky with the various image licenses. Debra Eckerling at Social Media Examiner has a great post on 15 resources that talk about finding images for social media posts. Day 21: Hang up promotional banners in your office. That’s right. Twitter marketing doesn’t just have to be online you know — you can even take it to your company office and see some pretty decent results. Hang up posters/banners for example in waiting rooms, offices, etc. that showcase your Twitter handle (include your profile URL as well). Day 22: Promote your Twitter account at speaking conferences. Snagged a speaking gig at Tedx (or anywhere else, for that matter)? Use it to your Twitter advantage! When you close your speech, drop in a line about your Twitter account. You might be able to get some leaders in your industry to follow and eventually retweet you. Day 23: Leverage your existing relationships. Everybody knows somebody. Ever chatted on Skype with someone who has a popular Twitter account in your niche? Maybe exchanged a few emails, or even a phone call? Leverage that existing relationship, and get them to share your content to their audience. This technique is grounded in the principle we discussed about how people who know you are more likely to be interactive with you on Twitter. Day 24: Repost your most popular tweets. Thus far, you should have been able to send a hundred plus tweets out, and you should have been able to see at least some interaction. Find the tweets that were most popular with your audience — highest retweets & favs — and then retweet them to your Twitter account word for word. Make sure you post them at a different time than when your original tweet was sent out so that those who saw it the first time aren’t very likely to see it again. Day 25: Promote your Twitter account on your blog. Hopefully by now, you have several hundred (or even a thousand if you’ve been hard ad it) followers. Nothing big, but at least there are some there. Now that you have a start of a Twitter tribe, you can safely promote your Twitter account on your blog without getting ridiculed for having only 7 followers. Try dedicating an entire blog post to “hey, we’re on social media, come follow us!”, and list all your active social profiles, not necessarily just your Twitter. In your post, give readers a reason to follow you on social media; an incentive. “Staying up-to-date on current events in <insert niche>” is a good incentive, just like “curation of the best blog posts on <insert niche>”. Day 26: Use SumoMe to create tweetable tips in blog posts. The brainchild of Noah Kagan, SumoMe is a free suite of Internet marketing tools. One such tool is Highlighter (formerly called Twilighter), and it’s a great way to increase your share count on blog posts and, therefore, your Twitter account’s exposure. Basically, what the tool does is highlight a specific sentence/phrase in your blog post and show a little icon next to it than when clicked by a reader opens a new tab in their browser where they can tweet the exact phrase (with a link back to the post). Neat, huh? Incidentally, Noah was employee #30 at Facebook, and is responsible for a lot of cool stuff that’s on there; including the revolutionary status update. Day 27: Auto tweet old blog posts with Tweet Old Post. Tweet Old Post is a nifty free WordPress plugin that (no prizes for guessing) automatically tweets your old blog posts. Normally, when you publish a blog post, there’s a buzz around it for a couple days (or even a couple weeks, depending on how often you publish posts). But once a couple others have been published after it, the post can be forgotten. People just don’t see it any more. Tweet Old Post will change that, ensuring that your evergreen posts get the visibility they deserve. Day 28: Reply to tweets about your competition. People often let off steam on Twitter — particularly about certain companies/businesses that they didn’t enjoy dealing with. Find people who are unhappy with your competition and have tweeted about it, then reply to that those tweets as a helpful Good Samaritan, offering your advice (for free) on anything that went wrong during their experience as a customer with your competition. Not only is it a great way to gain a few loyal Twitter followers, but the tweep you replied to might even end up becoming a valuable customer of yours. Day 29: Reply to popular tweets from the biggest Twitter accounts in your industry. Try to find 10-20 of the biggest Twitter accounts in your niche — ones that command millions of followers and hundreds of favourites & retweets with each tweet they send out. Then, reply to one tweet from each account. Since each tweet is so popular and viewed by thousands of people, your profile too gets an incredible amount of exposure … for absolutely free! Day 30: Survey your followers. The final step in this 30-day serious is to survey your followers. By now, you should enough followers to be able to generate a bit of interest around a survey. What times are you active on Twitter? What content topics do you like to retweet? Which Twitter profiles do you think tweet the most interesting content? You can use answers from the survey to tailor your Twitter account to make it as appealing to your target audience as possible. To get people to take it, you might have to popularize it on your blog or even offer a small incentive for completing it. Getting more Twitter followers really isn’t an incredibly different puzzle to solve. When you boil it down, the most important things to remember is that you have to tweet content people are actually interested in and you have to do your best to build relationships and really connect with them. Now go out there, implement this guide in your Twitter marketing campaign, and start getting more followers! *Featured image courtesy Rosaura Ochoa via Flickr. great collection of twitter hacks. Nice program for 30 days. I especially like Day 4: Create a Twitter landing page (which I haven`t thought about so far) and all the topics regarding analytics and monitoring! I will refer to your post in one of my next articles. Watch out!